You are about to download Secret Tool Pro latest updated version for Windows PC. 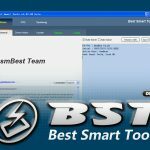 Secret Tool Pro is a small tool which allows you to fix problems on several android smart phones and tablets. It allows you to bypass or unlock FRP lock from Samsung, Oppo, Vivo, Xiaomi, SPD, and Qualcomm. It also allows you to perform many other tasks on your android device such as Removing Samsung Account, Flash Samsung devices, Read software and hardware etc. The latest version of Secret Tool Pro is released official and today in this article we have managed its direct download links to our users. Just click on the download link at the bottom to download Secret Tool Pro Tool Latest version for completely free. Read software and hardware info of your device. Remove FRP lock from your android device. It also allows you to remove FRP lock from all SPD based android smart phones and tablets. Baseband repair ADB on Samsung devices. Baseband repair in Download Mode on Samsung. 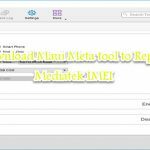 Download link for Secret Tool Pro is given below. Click on them if you want to download it.